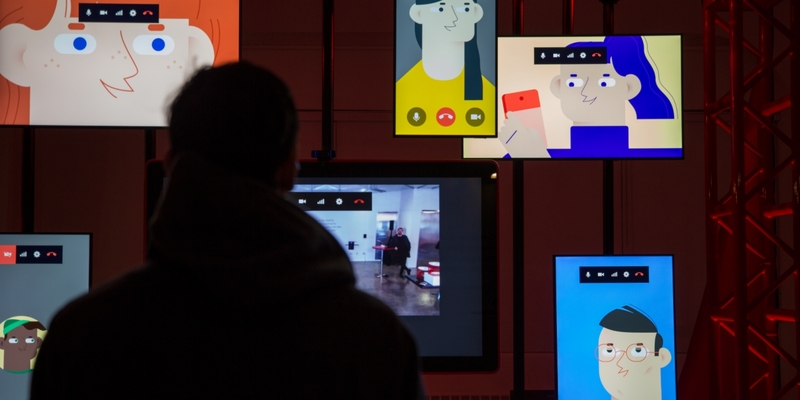 In late 2017 Stink Studios brought me on board as lead creative to build an interactive installation highlighting the benefits of Google's GSuite products for business. What we came up with was a fun cause and effect animation showing the birth and life of an idea. Due to the multi-screen nature of the project as well as the required interactivity, the installation was a technical and narrative challenge. To make sure that we were communicating all of GSuite's most important features, we went through several rounds of scripts, storyboards, keyframes, and storyboards. Anthony Meric, one of the co-creators on the project has written an in-depth post about many of the challenges we encountered along the way: The 3 things we learned while building an 8-screen interactive installation.